I try to buy film in bulk, purchasing all the film I need for a six month period, and not buying new film until I finish that supply. That mostly worked out this year, until Lomography released a special edition film and I saw a good deal for some Cinestill 50D, one of my favorite color films. The result was that, at exactly the time I expected to run out of film, I had a bunch of color film to shoot. 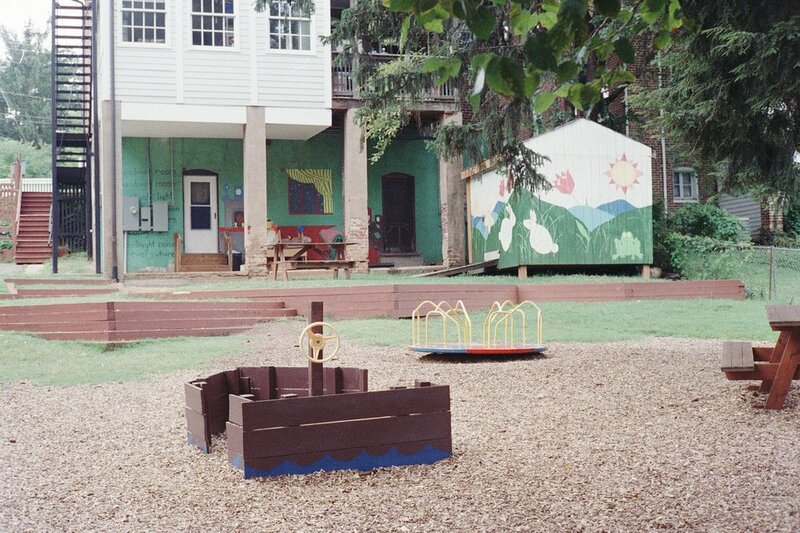 These photos are from the rolls of color 35mm I scrambled to shoot in August. The first six or so are the Lomography film, followed by the Cinestill. As always with my 35mm work, these are just snapshots: Attempts to capture the things I see everyday. One of the photos will feature an older, bearded man, arguing with a younger woman. This was apropos his attempt to remove the shroud that had been placed on the Robert E. Lee monument in the city. I'll let you guess what his perspective was. A few other thoughts: I took some of these just before the events on August 12, hence the photo of the signs. The "Out/In" photo was taken in Milwaukee, Wisconsin, where I visited for a talk. The group of young people standing and reading were from Howard University. 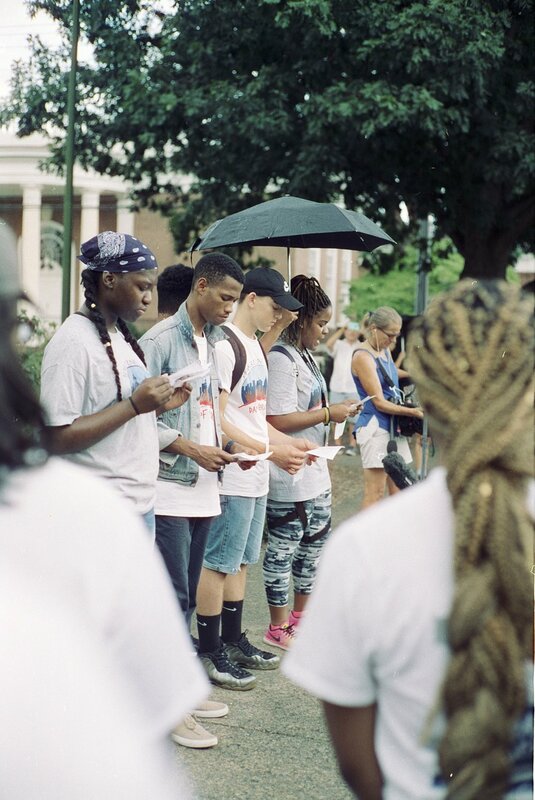 They had come to Charlottesville just after the white supremacist attack to give their condolences and pledge their support for anti-racist causes. The last photo was taken with a new lens that I'll write about in a future post. I like it (both the photo and the lens) a lot though.